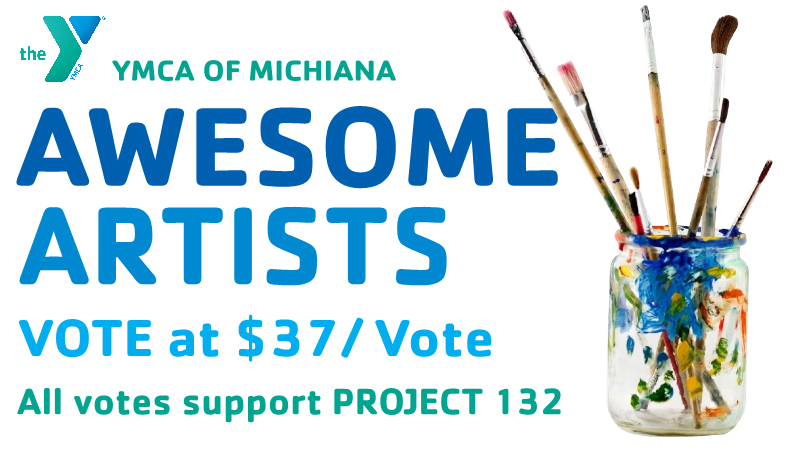 AWESOME ARTISTS is all about helping kids discover their own personal awesomeness! YMCA Camp Eberhart and the YMCA Youth Development activities at the YMCA of Michiana are all about discovery, so this fits right in. WEEK 5 WON the voting!! Now it's your chance to get one of these truly awesome CAMPERS CREATION! BID on your favorite CAMPERS CREATION right here, with the bidding ending online at 7 p.m. on Saturday, September 5. All of the CAMPERS CREATIONS will be on display at YMCA Camp Eberhart during Family Camp Labor Day weekend -- so come and see these pieces of AWESOME ART!! One caveat - if you're not at camp on September 5 to pick up you winning piece and need us to mail you your piece of art, we will do so at your expense! Bid on some AWESOME ART! !